Immunotherapy vaccine CRS-207 is moving closer to changing the way malignant pleural mesothelioma will be treated in the future. CRS-207 produced a startling 94 percent disease control rate when combined with a chemotherapy cocktail of cisplatin and pemetrexed in a recent, multicenter clinical trial. Thoracic oncologist Dr. Thierry Jahan of the UCSF Helen Diller Family Comprehensive Cancer Center detailed the results last week at the 2016 European Lung Cancer Conference. 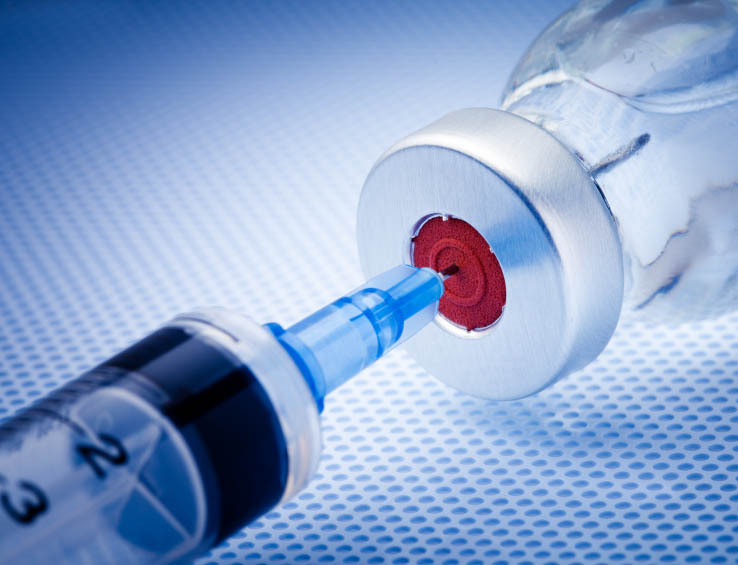 The CRS-207 vaccine is a form of Listeria monocytogenes, a bacterium that is weakened and genetically modified to produce an anti-tumor response without causing disease or serious side effects. The study involved 38 patients with advanced, unresectable pleural mesothelioma. Each patient received two doses of CRS-207 every two weeks, then six cycles of pemetrexed and cisplatin every three weeks. They were followed by two more vaccine infusions in three-week intervals. Patients were assessed every eight weeks until disease progression and given maintenance doses of CRS-207. There was stable disease in 35 percent of the patients and partial response in 59 percent. Tumor shrinkage was reported in 85 percent of the patients. Median progression-free survival was 8.5 months, compared to the 5.7 months previously reported with only the chemotherapy regimen. One patient experienced progressive disease. The vaccine is designed to target mesothelin, an over-expressed antigen in several types of tumor cells such as mesothelioma. Higher levels of mesothelin are found in virtually all cases of epithelioid mesothelioma but rarely in sarcomatoid mesothelioma. Get free help finding and enrolling in a mesothelioma clinical trial today! Patients in the study were required to have the epithelioid mesothelioma or the biphasic form with less than a 50 percent component of sarcomatoid. The study involved patients from the UCSF’s cancer center, the Moffitt Cancer Center in Tampa, the University of Chicago Medical Center, the Abramson Cancer Center in Philadelphia and the National Cancer Institute in Bethesda, Maryland. In the presentation, Jahan told the audience that a randomized clinical trial already is in the planning stages, which could move the vaccine toward U.S. Food and Drug Administration (FDA) approval and make it part of standard-of-care treatment for the disease. Before the study was complete, an earlier presentation at the International Mesothelioma Interest Group conference reported similar impressive results. The FDA in 2015 granted orphan drug designation to CRS-207, which provided a variety of incentives for pharmaceutical companies to speed the drug’s development. The designation encourages the development of drugs for rare cancers. Mesothelioma, caused by inhaling asbestos fibers, is diagnosed in an estimated 3,000 people annually in the U.S. By comparison, lung cancer is diagnosed in more than 200,000 people every year. Jahan emphasized the minimal side effects from the vaccine, making it a low-risk, no-downside venture for anyone considering a future clinical trial. Several trials with other tumor types and other combination of drugs already incorporate the vaccine, and no significant side effects were reported. “It really does appear to be safe and was well tolerated,” Jahan said.